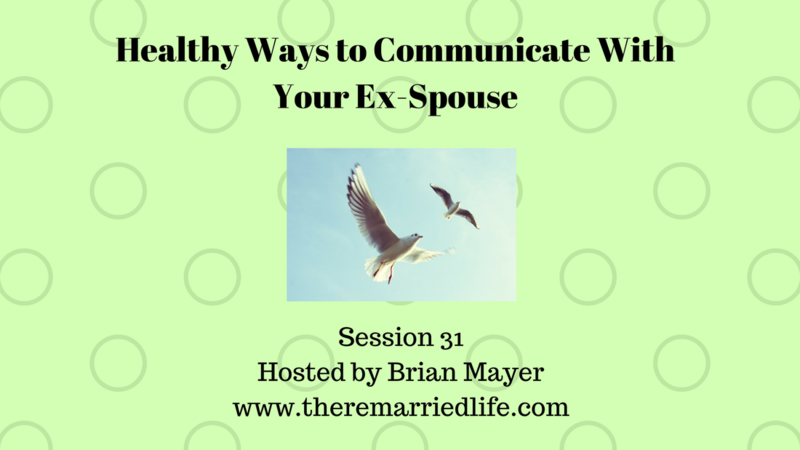 Today’s Episode is all about how to communicate with your ex-spouse. We will discuss 5 keys to getting your discussions to a more calm and rational place. If the two of you can get this right, it will reduce your stress and help make your child’s experiences with each other all that more positive. The first key is do more Listening than Talking. I know what you are thinking. It is not possible for both of us to do more talking than listening. To some degree that is true but if you both can practice this principal you will go a long way to really hearing what your ex-spouse is really trying to say. Thinking about your emotions is the second key. Prior to communication with your ex-spouse, you should do a self check-in. Ask yourself how you are feeling. Are you feeling angry, sad, lonely, or maybe you are feeling happy, energized, and enthusiastic. After you have discovered what you are feeling, now you should dig to understand why you are feeling this way. If these feelings are somehow connected to your ex-spouse especially then recognizing this is important. If you are not aware of the emotions or the cause of the emotions that can come spilling back out toward your ex-spouse. The third key is to Care a Little Less. This one sounds cold but let me explain. We tend to get so caught up in wanting to know every little detail of life at our ex-spouse’s house that it often gets negatively blown up in our minds. Often things can be filtered in a child in way that distorts the reality and that must be taken into consideration. Short of anything illegally occurring at your spouse’s home, you would probably do best for you own stress to let some of this go. Be specific about What to Talk About and When to Talk About it is the fourth key. Of course discuss that your daughter needs new eyeglasses or your son need a backpack are perfectly legitimate discussions assuming these are things that were taken care of in a divorce decree. Discussing things like your ex-spouse new girlfriend and how much she dislikes your children is probably not going to go well. Additionally pick times at regular intervals that make the communications more business like and remove the emotion. So for example, let’s say every Thursday from 6 – 6:15 pm you will discuss the children and how they are doing. The fifth key is to use a Third Party like a Counselor, Mediator, or Attorney when necessary. If none of these other keys to communicating work, then it could be time to consider an outside party to help set boundaries around communication. There is hope that you can avoid this, but help is available should you need it. There is a website called Our Family Wizard that could be useful to help with communication. It has a shared parenting calendar, a message board to contain all written communications, an info bank (for contact details, medical and school information), an expense log to track expenses and to make payments to each other, a place to journal, and alarms for meetings and other calendar events. Try these new methods of communication and new ways of thinking about communication today to see if you can get that part of your life back on track. Communicating with your ex-spouse is not always easy but it doesn’t have to be impossible.